Bluetooth is a short-arrange connectivity technology. It’s according 2.4GHz wireless connectivity standard. And wide applicant in wireless personal area networks (also named PANs). 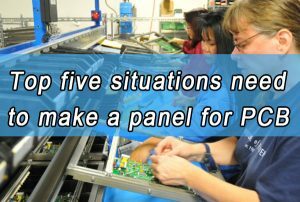 These panels can be used to exchange data between devices such as cell phones, digital cameras, printers and household appliances at data rates of up to 721 Kbps (kilobits per second). Most of PCB designers don’t know Bluetooth certification. In professional also named BQB certification. But most of bare PCB board, it’s none through Bluetooth certification. How to image outer layer circuits of the rigid PCB board? This entry was posted in Blog and tagged Bluetooth, BQB certification.